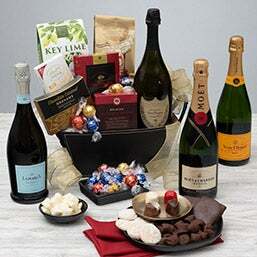 From Christmas to Easter to Mother's Day and every other holiday throughout the year, we offer special gift baskets that are just perfect for each and every holiday. From ghostly popcorn at Halloween, to decadent chocolate filled baskets to delight your Valentine, we're confident you'll find the gourmet gift basket you're looking for. And we can guarantee your recipient will absolutely love it! Whether you're searching for the perfect birthday gift, or just the right thing to celebrate their retirement or anniversary, we have just what you're looking for. We'd love to help be a part of their special occasion!